For a lot of companies, their own website is an old friend that they simply do not want to change. That is why you can still see some websites that are already a few years old but still look pretty much the same since the day they were launched. 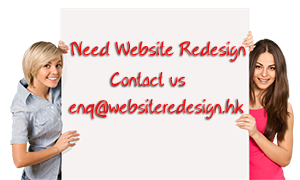 But then again, a website redesign can be advantageous for your business. Doing so improves your search engine placement. But if not done correctly, it could actually hurt your ranking and you could lose your website traffic as a result. You might be wondering, how exactly does a website redesign cause such problems? Well, if not done right, you could lose your web footprint which probably takes you a long time to grow. See, search engines like Google value history. It goes without saying that sites that have been around for years hold more value than those sites which were just put up last week. With a website redesign, it does not automatically retain the links that you have on the Web. If you aren’t careful and methodical you could lose these links which will then result in you getting a much lower ranking. The good news is, you can retain your search rank after you redesign your site and at the same time gain all the benefits of having an improved design. You need to know your pages. That’s because you should generate a comprehensive list of your current URLs and ensure that all these links are accounted for when you redesign your site. Your search engine ranking will drop if your optimized content is not included in your newly redesigned site. It also occurs when your old webpages are orphaned in a new URL structure. Next, you should know your inbound links. You can use tools that are freely available online to help you find the sites linking to your site and which pages on your site they are linked to. With inbound link analysis, your page migration will be prioritized and you can protect your link profile. Remember that building a link profile is a long process and you don’t want to lose it because you did not bother to analyze your inbound links before redesigning your site. Finally, make sure to use the right redirects. We strongly advise against changing the URL structure of your site but if this cannot be avoided, then make sure that 301s are used to forward old addresses to the new addresses. You should also see to it that your pages are correctly redirected. By knowing the links and pages that have been changed and redirecting them properly, you will lower your risk of losing your ranking.